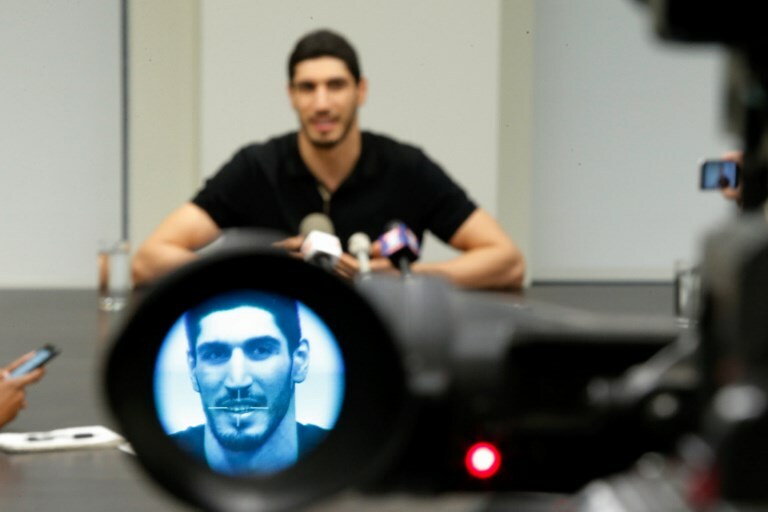 Turkey’s Foreign Minister Mevlüt Çavuşoğlu said NBA player Enes Kanter’s world tour was disrupted as part of the government’s post-coup crackdown against the Gulen movement, on Wednesday. Turkish government holds the Gulen movement responsible for the July 15, 2016 coup attempt while the latter denies involvement. More than 126,000 people have been detained over ties to the movement in Turkey so far while President Recep Tayyip Erdogan earlier called on foreign governments to punish Gulen followers in their own countries. In May Saudi Arabia, Malaysia, Georgia and Myanmar handed over academics, businessmen and school principals upon the Turkish government’s request. Kanter also fell victim to the government’s worldwide net against Gulen followers after he pledged support to the movement. His passport was briefly seized by Romanian police upon a request from the Turkish government. Once he landed in the US, Kanter revealed that Turkish government had tried to catch him also in Indonesia. Çavuşoğlu continued that the government took part in bringing back Gulen’s supporters from overseas. “We brought back FETO’s Myanmar imam. We took back FETO supporters from Malesia, Azerbaijan, Qatar and Saudi Arabia. Schools and language centers linked to FETO stopped operating in 15 countries: Gambia, Azerbaijan, Tajikistan, Libya, Jordan, Dominic Rebuplic, Morocco, Rwanda, Kuwait, Tunisia, Montenegro, Maldives, Madagascar and Ivory Coasts. [State-supported] Maarif Foundation took over such schools Guinea, Somalia, Niger, Sudan and Congo. We are making every effort to take over their schools in other countries as well,” he added. Officials from several Turkish institutions were actively involved in the forced return of Malaysian-based Gulen followers last week, according an earlier Anadolu news agency (AA) report. Meanwhile, Muhammet Furkan Sökmen, a Turkish national working for two schools established by Gulen movement followers in Myanmar, was forcibly returned to Turkey in June, this year. Turkish government calls the Gulen movement as FETO, short for alleged Fethullahist Terrorist Organization.